​We are on Dakota homelands. 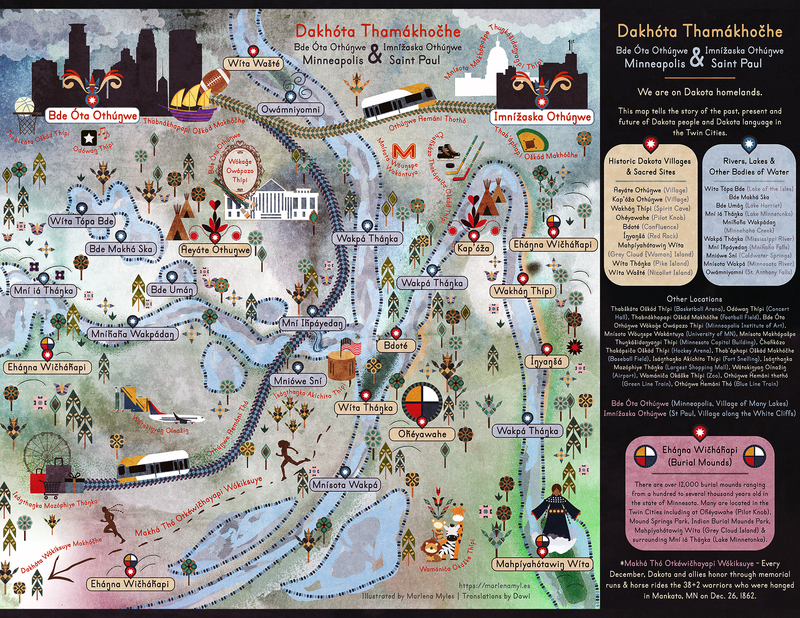 This map illustrates the story of the past, present and future of Dakota people and our language in the Twin Cities. There are over 12,000 burial mounds ranging from a hundred to several thousand years old in the state of Minnesota. Many are located in the Twin Cities including at Ohéyawahe (Pilot Knob), Mound Springs Park, Indian Burial Mounds Park, Mahpíyahótawiŋ Wíta (Grey Cloud Island) & surrounding Mní iá Tháŋka (Lake Minnetonka). Every December, Dakota and allies honor through memorial runs & horse rides the 38+2 warriors who were hanged in Mankato, MN on Dec. 26, 1862. I am offering a free 8.5″x11″ PDF poster for printing. Please email me at me@marlenamyl.es to inquire. A number of these locations and their Dakota history can be researched at the Bdote Memory Map. Other resources are linked via their name in the list. 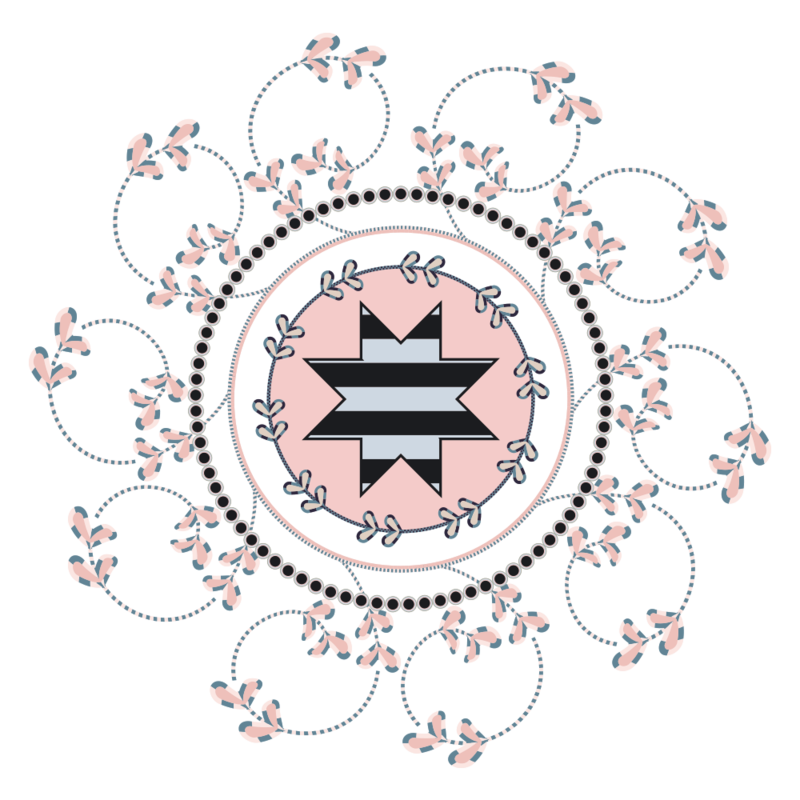 Pidamaya for visiting.